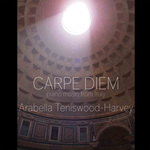 Carpe Diem : piano music from Italy / Arabella Teniswood-Harvey, piano. Carpe Diem (2015) Italian Gothic 'bas-relief' for solo piano, after Respighi's "The Pines of Rome"
Also includes: 'Les jeux d'eaux à la Villa d'Este', from Années de Pèlerinage vol. 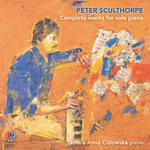 III / Liszt -- Roman sketches, op. 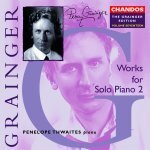 7 / Charles T. Griffes -- Tre preludi / Respighi -- Onde: 2 studi per pianoforte / Mario Castelnuovo-Tedesco -- Rome, l'unique objet... / Pierre Petit. It premieres Australian composer Michael Kieran Harvey's Carpe Diem (2015) in context with Italian-inspired solo piano works by significant composers of the past, including the Italian composers Ottorino Respighi (1879-1936) and Mario Castelnuovo-Tedesco (1895-1968), the Hungarian Franz Liszt (1811-1886), the American Charles Griffes (1885-1920) and the Frenchman Pierre Petit (1922-2000). 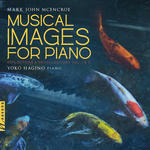 Score: Carpe Diem : Italian Gothic 'bas-relief' for solo piano / Michael Kieran Harvey.